Announcing the immediate availability of Vinyl Carport Covers! Vinyl carports last on average 10 years and up to 15 years in shady areas with minimal maintenance. 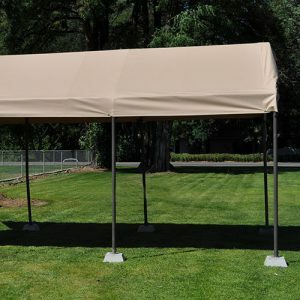 Here at Costless Tarps, we have tested our vinyl carports for 8 years in full sun and weather exposure and they show no sign of wear or deterioration.